Holland America Line is currently featuring a new Early Booking Bonus promotion that offers four special perks valued at up to US$1,200. 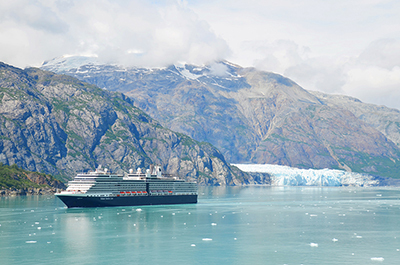 Running through 31MAY, 2019, the EBB is applicable to a variety of 2020-2021 cruises or Alaska Land+Sea Journeys and includes such benefits as a Signature Beverage Package, dinner at Pinnacle Grill, 50% reduced deposit, and free or reduced fares for kids (or adults) in the same stateroom sailing as third or fourth guests. Guests who make a suite booking also receive US$200 onboard spending money. The EBB is available on a variety of cruises from MAY 2020 through APR 2021. With this promotion, guests can book a cruise to many of Holland America Line’s global destinations, including Alaska, Asia, Australia/New Zealand, Canada/New England, Caribbean, Cuba, Hawaii, the Mediterranean, Mexico, Northern Europe, Panama Canal, South America and South Pacific.